Accounting provides information for decision making. Accountants today are actively involved in the analysis and interpretation of financial data and work with other executives in decision-making and problem solving activities. Almost every business and organization needs accountants to measure performance and provide information for decisions. Successful accounting students are generally organized, purposeful, logical, self-motivated and effective communicators. They are able to analyze situations to determine options. The Hesston College accounting and business curriculum will help you develop the foundation toward strong technical and professional accounting skills, including communication, problem-solving and analytical skills. CPAs (Certified Public Accountants) and potential CPAs (graduated with an accounting degree) have a variety of career paths from which to choose within a CPA firm, such as staff accounting, auditing, tax and management consulting. In business and industry you can choose careers in diverse areas such as financial accounting and reporting, management accounting, financial analysis, cost estimators and budget/cash management. CPAs can also provide services in specialized areas of accounting like financial forensics, business valuation and consulting. Within government, you can create a path to success at the federal, state or local level. Non-profit organizations and education also offer many diverse opportunities. Other related careers include areas in finance such as a financial analyst, financial planner or personal financial advisor. Hesston College business and accounting students have the opportunity to earn a $2,500 scholarship for their sophomore year by pursuing the Business department’s Business Practices of Excellence. Have a deeper financial understanding of business. Learn the rules/guidelines that govern business. Learn computer software and information systems that run business, and often train others to use the systems effectively. Be a communication specialists. Accountants must be able to explain complex issues to people at all levels of business. Be professional. Accountants are well-trained and know how to act in the best interests of individuals or advise top leaders in the company. Hesston College’s business program offers a series of courses in various aspects of business to prepare students to complete a four-year business degree for a variety of academic and career paths in accounting, finance, economics, business management or administration, international business, sales or marketing, or IT management. The field of business allows you to explore opportunities in many career options. Examples include Management, Marketing and Sales, Administration, Accounting, Economics, Entrepreneurship, Finance, International Business, Office management, and Business Systems. Hesston College business and accounting students have the opportunity to earn a $2,500 scholarship for their sophomore year by pursuing the Business Practices of Excellence. Business is practical. Every organization in every industry relies on business principles to be successful. Individuals with a business foundation are poised to run a personal business and have the practical skills to to work in a variety of positions. Demand for business majors is strong. The demand for business majors will continue to be strong because there are so many career opportunities available to students with a solid business education. Employers need employees who have been trained to organize, plan and manage within an organization. There are opportunities for specialization. Business allows for more opportunities than most other fields. You can also choose a specialization that combines fields of study such as psychology and business to work in organizational behavior. What is computer information technology? Computer networks and the Internet have changed the face of the business world. Networking, once reserved for large corporations, has become indispensable to nearly every business. The Internet has created the need for businesses to have a Web presence that offers services and products to consumers around the globe. People with the training and talent to serve as network or Internet professionals play pivotal roles in the operation of today’s businesses. The demand for computer professionals extends from the corporate world to retail, service, education, government and health care industries. Forward-looking businesses can no longer afford to ignore the efficiencies that networks and the Internet offer in the areas of communication, marketing, production and information management. Hands-on training in the well-equipped Computer Information Technology lab integrates theory, practice and professional techniques. The CIT computer lab is managed and maintained by students who gain practical experience working on equipment, helping other students and even working with real-world “clients.” As a member of the Microsoft Developer Network Academic Alliance, we are allowed to make much of the software we use available to you at no charge. The key to really learning computer networking or Internet skills is good instruction and lots of hands-on experience. Students wire up a network, build a network server, set up network services and security and create a web site. We help, but you do it! 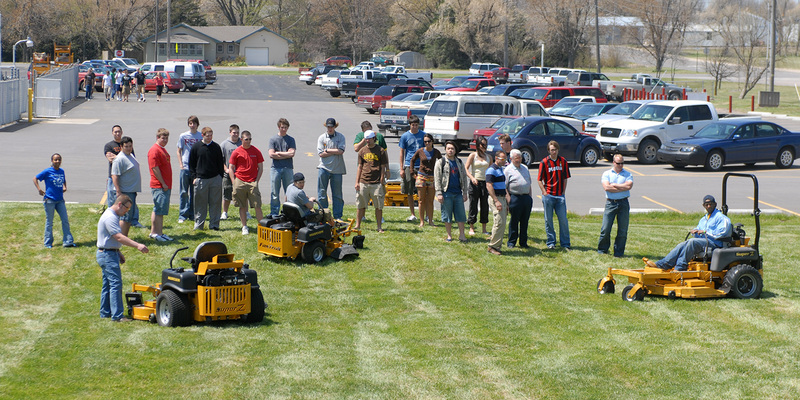 Hesston College courses are planned to fit the schedules of both traditional students and working professionals. 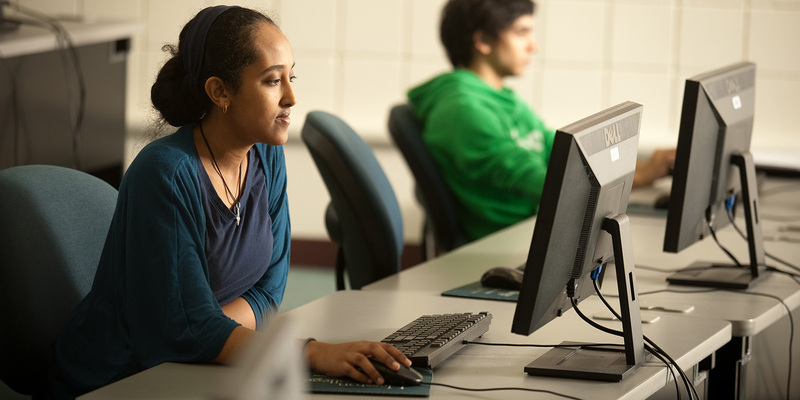 Whether you enroll to improve current skills or to learn new applications, programming languages or vendor-specific skills, you’ll benefit from the smaller class sizes and hands-on training. Computer Science is a discipline that requires both theory and practice. The practical side of computing can be seen almost everywhere, but behind the scenes are the computer scientists. For example, getting computers to do what you want them to do is called computer programming, a very rewarding and hands-on skill. Computer science is also a science of problem solving. Computer scientists model and analyze problems. They design solutions and verify that their solutions work. Computer scientists also research new methods and new technologies for future use. Computer programming is a key skill of the computer scientist. We introduce you to programming using animation software called Alice. You’ll even program your own game! While “playing” with pictures and sounds, you will learn key programming concepts while transitioning to Java and C++, two of the most popular and powerful programming languages in the world. The Computer Science curriculum provides the foundation courses needed for a career in computer science or computer engineering. You will get personalized attention learning computer programming, internet technologies and computer networking while you also study the science and math to ensure requirements are met for a seamless transition to continuing education and professional careers. Economics describes the factors that determine the production, distribution and consumption of goods and services. Hesston College’s economics program is a focused path within the business department. The study of economics is especially suited for the curious student with strong mathematical and analytical skills who is looking for the educational background to make meaning to a variety of issues in everyday life. Economic analysis provides a framework for how to better see and understand the world around us. A degree in economics allows you the opportunity to enter many different occupations upon graduation. Some of the fields open to graduates with economics degrees include working in the private sector in areas such as business, banking, finance, accounting, law, consulting or economic analysis; many graduates also work in the public sector in areas such as research, analysis, or education. Hesston College offers you the foundational courses in economics, mathematics and business to allow you to move into further study in economics at a four year institution. Hesston College offers an associate of arts Degree (A.A.) for students interested in pursuing a four-year transfer degree in economics, and there are two different courses of study depending on a student’s transfer institution. Some institutions place economics within the business department, so those students should follow a course of study in business while other institutions place economics within the college of arts and sciences which places greater emphasis on mathematics. Hesston College offers both tracks of study to enable you to transfer to a college or university that provides the accredited program of study for the field of your interest. As an economics student, you will take a number of foundational economics courses which are required at most transfer institutions. These courses include Macroeconomics and Microeconomics along with Calculus, Elementary Statistics, General Psychology and Introduction to Sociology. In addition, Hesston College offers a number of business courses to fit the students’ individual needs for those students pursuing programs that closely align with business. The recommended program of study can be adjusted for the specific requirements related to your specific area of interest and your transfer institution. 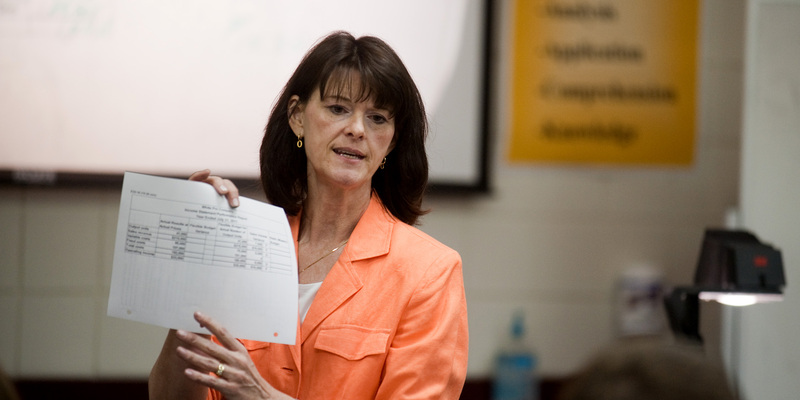 Economics courses at Hesston College focus on connecting economic concepts to current events to help students make connections between theory and real life. For example, Macroeconomics examines current state of the United States economy; Microeconomics explores the economic issues involved in the Affordable Care Act; and From Industrialization to Globalization closely analyzes the textile industry and the making of the common T-shirt. Upon graduation, students in the Business/Computer Information Technology division are well prepared for life after Hesston College. The division has a number of two-year degree programs that prepare students to enter the workforce as well as four year transfer degree programs which allow students to extend their higher education in a number of different majors. During their time at Hesston College, students are encouraged to make connections outside the college through contacts with alumni, local businesses, and MEDA (Mennonite Economic Development Associates). Hesston College business students participate in internships and coops as well as attend workshops, conferences, and lectures on campus, in the community, and across the country to gain practical business experience beyond the classroom setting. Instructors have the opportunity to work with students in many different ways, serving as instructors and mentors to the students during their two years on campus. 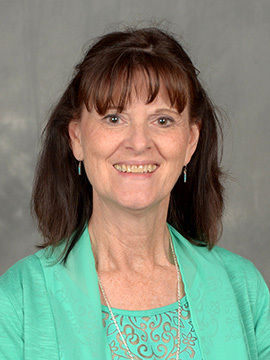 Instructors get to know the students closely through the small class sizes, their role as advisors, and the ability to work with students in multiple classes throughout their time at Hesston College. The students find a supportive environment in the Business/CIT division. Students work closely with each other and their instructors in a community that is both supportive and challenging. Instructors work to create an environment where students feel comfortable taking risks. 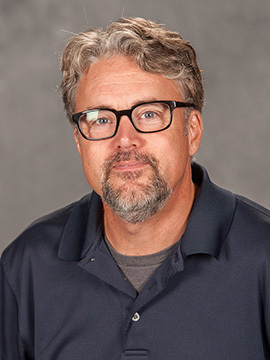 Hesston College exists to develop persons toward the model of Jesus Christ as revealed in his life and teachings and toward active participation with the body of Christ, the church in the world. This commitment calls for a style of education that is radically person centered. The focus of the college community is the nurture and development of the student. 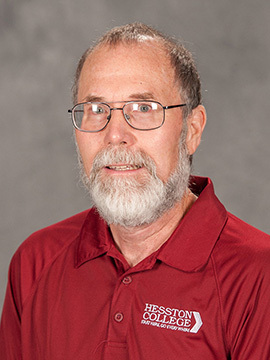 In full support of the Hesston College mission statement, the Business and Computer Information Technology Department curriculum is designed to develop business principles and computer technology skills for the transfer student and the career student. Understand and utilize the language of business and technology. Demonstrate effective skills in writing, speaking, mathematics and visual communication in an organized and concise manner using appropriate business formats. Utilize appropriate information and technology to effectively complete business-related tasks. Understand the role of the free-market system as an economic driver in the local, national, and global economic markets. Develop critical thinking, creative thinking and problem-solving skills needed to assist in a variety of business operations. Demonstrate an awareness of business ethics, social responsibility, faith and stewardship, and apply them in decision-making processes. Increase self-awareness by identifying and analyzing individual strengths, weaknesses, and career options. Collaborate effectively with a diverse team to accomplish a variety of business-related tasks. 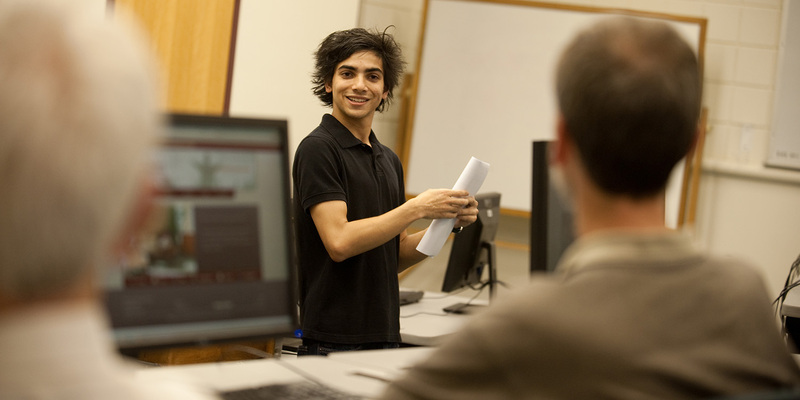 The Business and Computer Information Technology division provides students with courses that are common to other four-year business and computer students during their freshmen and sophomore semesters. Careers – What can I do with an aviation degree?